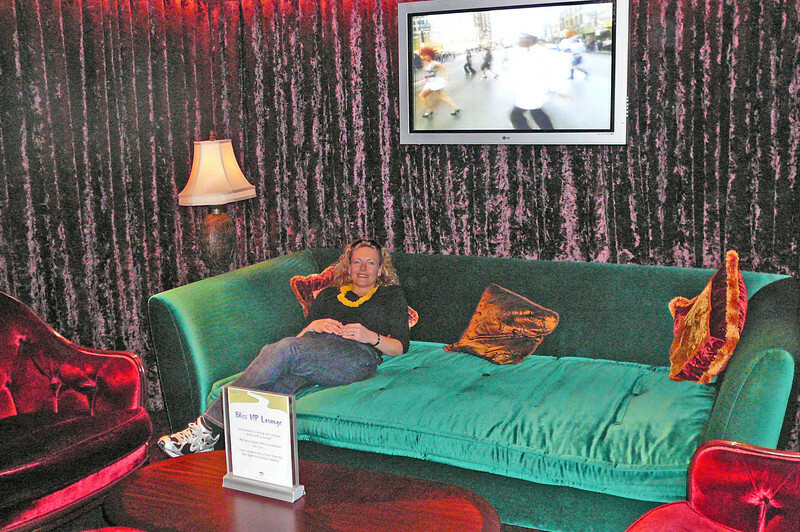 Nancy enjoying one of the comfy sofas in the "VIP" area of "Bliss Ultra Lounge". This is definitely the Coolest nightclub at Sea! !